Britvic Mixers & Juices are sold primarily in the on-trade throughout the UK, as an entry-level option for mixed drinks. In order to differentiate their offering from the competition, and cement their position as proud suppliers of the on trade, they were looking for a seasonal campaign to make their Mixers & Juices. In a world of complicated serves, and the rise of the premium mixer, we decided to set Britvic Mixers out from the crowd in their simplicity – finding our Moment of Wonder in the headline: Simply Great Tasting. This led to our simple serve strategy, which heroes the Mixer – one juice or mixer, one spirit, one garnish. We brought the campaign to life through serve photography and key visual creation, a suite of POS and videos highlighting the simplicity of the serves. 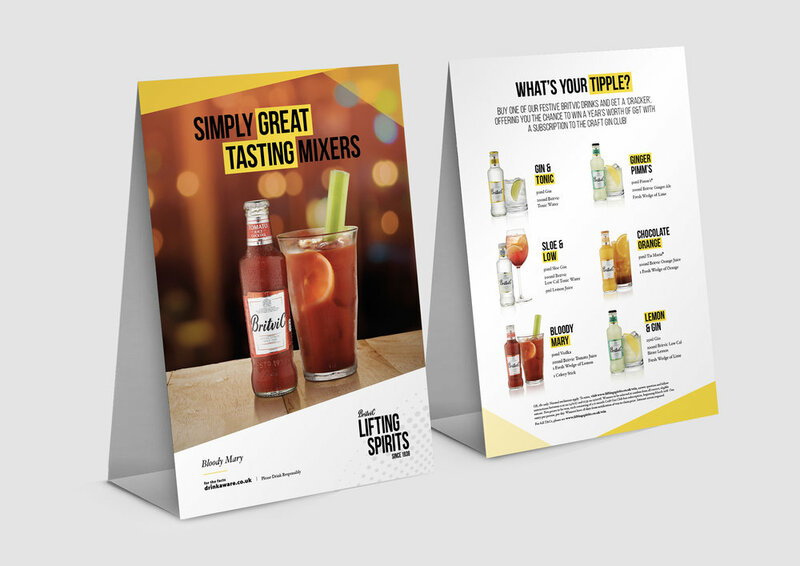 The seasonal serve campaign was well received by Britvic’s clients, going live in 2,000 outlets across the country. The serve videos have gone live on Marston’s social channels, P&O Ferries and have been used by the client for internal engagement. The campaign has undergone a round of creative review, and the summer edition will be going live in the UK and International markets from May 2018.